Come out to Support FSU’s Masters of Fine Arts Program at the Working Method Contemporary, opening reception September 15th at 7pm. 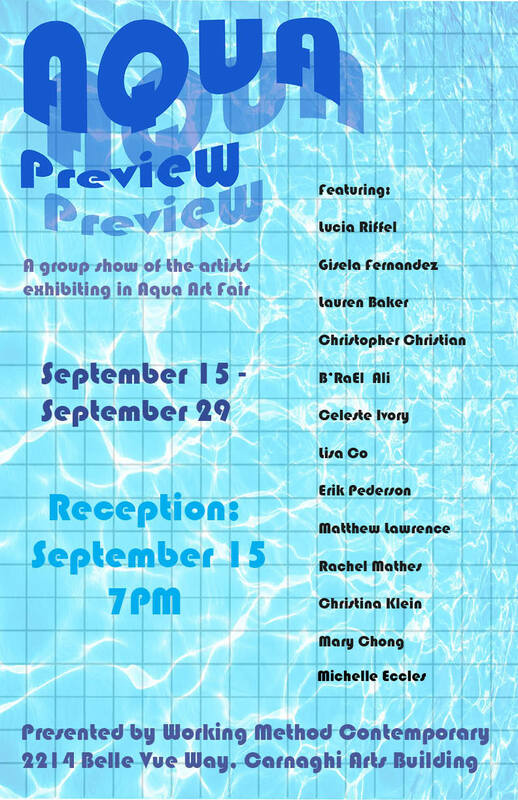 The Aqua Preview Show will exhibit the student artists that will showing at Art Basil Miami this year. The exhibition will show from September 15th-29th. Working Method Contemporary is located at 2214 Belle Vue Way, Carnaghi Arts Building.